Lucian Bebchuk, professeur de droit, d’économique et de finance, et directeur des programmes sur la gouvernance corporative à la Harvard law School vient de publier un article très important dans le New York Times. L’auteur met les investisseurs en garde contre de réels risques de gouvernance liés à l’offre publique d’achat (OPA) de l’entreprise chinoise Alibaba. Je crois qu’il est utile de mieux comprendre les enjeux de gouvernance avant d’investir dans cette immense OPA. Wall Street is eagerly watching what is expected to be one of the largest initial public offering in history: the offering of the Chinese Internet retailer Alibaba at the end of this week. Investors have been described by the media as “salivating” and “flooding underwriters with orders.” It is important for investors, however, to keep their eyes open to the serious governance risks accompanying an Alibaba investment. Several factors combine to create such risks. For one, insiders have a permanent lock on control of the company but hold only a small minority of the equity capital. Then, there are many ways to divert value to affiliated entities, but there are weak mechanisms to prevent this. Consequently, public investors should worry that, over time, a significant amount of the value created by Alibaba would not be shared with them. In Alibaba, control is going to be locked forever in the hands of a group of insiders known as the Alibaba Partnership. These are all managers in the Alibaba Group or related companies. The Partnership will have the exclusive right to nominate candidates for a majority of the board seats. Furthermore, if the Partnership fails to obtain shareholder approval for its candidates, it will be entitled “in its sole discretion and without the need for any additional shareholder approval” to appoint directors unilaterally, thus ensuring that its chosen directors always have a majority of board seats. Many public companies around the world, especially in emerging economies, have a large shareholder with a lock on control. Such controlling shareholders, however, often own a substantial portion of the equity capital that provides them with beneficial incentives. In the case of Alibaba, investors need to worry about the relatively small stake held by the members of the controlling Alibaba Partnership. After the I.P.O., Alibaba’s executive chairman, Jack Ma, is expected to hold 7.8 percent of the shares and all the directors and executive officers will hold together 13.1 percent. Over time, insiders may well cash out some of their current holding, but Alibaba’s governance structure would ensure that directors chosen by the Alibaba Partnership will forever control the board, regardless of the size of the stake held by the Partnership’s members. With an absolute lock on control and a limited fraction of the equity capital, the Alibaba insiders will have substantial incentives to divert value from Alibaba to other entities in which they own a substantial percentage of the equity. This can be done by placing future profitable opportunities in such entities, or making deals with such entities on terms that favor them at the expense of Alibaba. Alibaba’s prospectus discloses information about various past “related party transactions,” and these disclosures reflect the significance and risks to public investors of such transactions. For example, in 2010, Alibaba divested its control and ownership of Alipay, which does all of the financial processing for Alibaba, and Alipay is now fully controlled and substantially owned by Alibaba’s executive chairman. Public investors should worry not only about whether the Alibaba’s divesting of Alipay benefited Mr. Ma at the expense of Alibaba, but also about the terms of the future transactions between Alibaba and Alipay. Because Alibaba relies on Alipay “to conduct substantially all of the payment processing” in its marketplace, these terms are important for Alibaba’s future success. Mr. Ma owns a larger fraction of Alipay’s equity capital than of Alibaba’s, so he would economically benefit from terms that would disfavor Alibaba. Indeed, given the circumstances, the I.P.O. prospectus acknowledges that Mr. Ma may act to resolve Alibaba-Alipay conflicts not in Alibaba’s favor. The prospectus seeks to allay investor concerns, however, by indicating that Mr. Ma intends to reduce his stake in in Alipay within three to five years, including by having shares in Alipay granted to Alibaba employees. But stating such an intention does not represent an irreversible legal commitment. Furthermore, transfers of Alipay ownership stakes from Mr. Ma to other members of the Alibaba Partnership would still leave the Partnership’s aggregate interest to be decidedly on the side of Alipay rather than Alibaba. Given the significant related party transactions that have already taken place, and the prospect of such transactions in the future, Alibaba tried to placate investors by putting in a “new related party transaction policy.” But this new policy hardly provides investors with solid protection. Unlike charter and bylaw provisions, corporate policies are generally not binding. Furthermore, Alibaba’s policy explicitly allows the board, where the nominees of Alibaba partnership will always have a majority, to approve any exceptions to the policy that the board chooses. Of course, the Alibaba partners might elect not to take advantage of the opportunities for diversion provided to them by Alibaba’s structure. And, even if the partners do use such opportunities, the future business success of Alibaba might be large enough to make up for the costs of diversions and leave public investors with good returns on their investment. 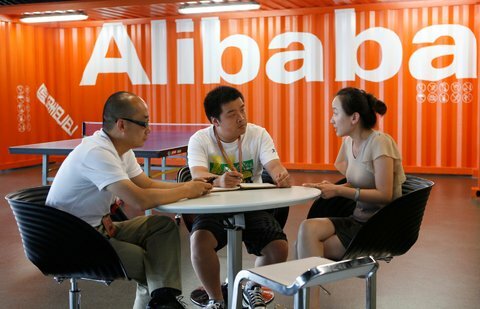 Before jumping in, however, investors rushing to participate in the Alibaba I.P.O. must recognize the substantial governance risks that they would be taking. Alibaba’s structure does not provide adequate protections to public investors. « Le pouvoir démesuré des firmes de conseil en votation !